Nuclear reaction stems from a process whereby two nuclei, or a nucleus of an atom and a subatomic particle either a proton, neutron or electron from outside the atom, collide to produce one or more nuclide that are different from those that began the process, it is commonly called nuclear fusion. Science students, most especially Chemistry and Physics would have a better understanding of this. Let me simplify this so anyone reading won’t be bothered about the jargon – X + Y = Z, “lol”, it’s that simple. There are much more intricate of nuclear reactions but I won’t go into that simply because it has no basis with this article. Okay, I’ve laid down the ground work. When you hear nuclear reaction the most probable thing that might come to your mind next is nuclear weapon. A nuclear weapon is an explosive (bomb or missile) that uses nuclear energy derived from nuclear reactions to cause an explosion. It will be interesting to note that a nuclear weapon releases large quantities of energy from relatively small amounts of matter, most times this energy released are unbearable to the atmosphere and the creatures that live around or within it, for example a nuclear device the size of a football can lay ruin to villages, towns and cities by blast, fire, and radiation. That’s a wild technology to handle or possess and radiation I can tell you is one of the worse because it tends to turn cities to ghost cities uninhabitable by living things as the poisonous radiations can still undergo processes that might last decades. A radiation is a particle that is emitted from unstable nuclei, an unstable element is a chemical element that does not have a single stable, naturally occurring isotope (other forms of it). Uranium has no naturally occurring stable isotope and so is an unstable element. The nucleus of uranium can split into two pieces, ejecting neutrons in the process that might become neutron rays, the nucleus can also emit a burst of electromagnetic energy known as gamma rays this type of reaction is called nuclear fission. I have explained what nuclear fusion and fission are, in both processes large amounts of heat energy and radiation is given off. The technology of these processes is carried out in nuclear reactors and nuclear weapons can be formed from it. Uranium-235 and plutonium-94 are more nuclear fuels which power nuclear weapons. In fission weapons the fuel are kept in separate sub-critical masses, which will not support fission so as to prevent premature detonation. All these have been systematized and nuclear weapons have been formed, the first use of these weapons was in mid 1940s and the world was alarmed at the range of destruction it brought. It was 1945, near the end of World War II, Japan was part of the Axis Powers and the US was on the opposite side. 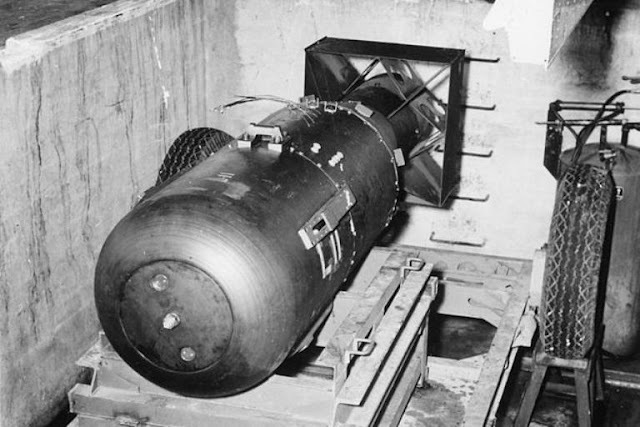 On August 6 of 1945 the U.S. Army Air Forces detonated an uranium gun-type fission bomb nicknamed “Little Boy” over the Japanese city of Hiroshima. It was called “Little Boy” because of its long, thin shape and the material used was uranium-235. A fission of slightly less than one kilogram of uranium-235 released energy equivalent to approximately 15,000 tons of TNT, that’s an alarming estimate. Then on August 9 of the same year the U.S. Army Air Forces again detonated another nuclear weapon on the city of Nagasaki, this time around a plutonium implosion-type fission bomb nicknamed “Fat Man” due to its rounder and fatter shape. The destructive energy of this plutonium bomb was believed to be equivalent to 21,000 tons of TNT. These bombings resulted in the death of approximately 200,000 civilians and military personnel and of course Japan surrendered. 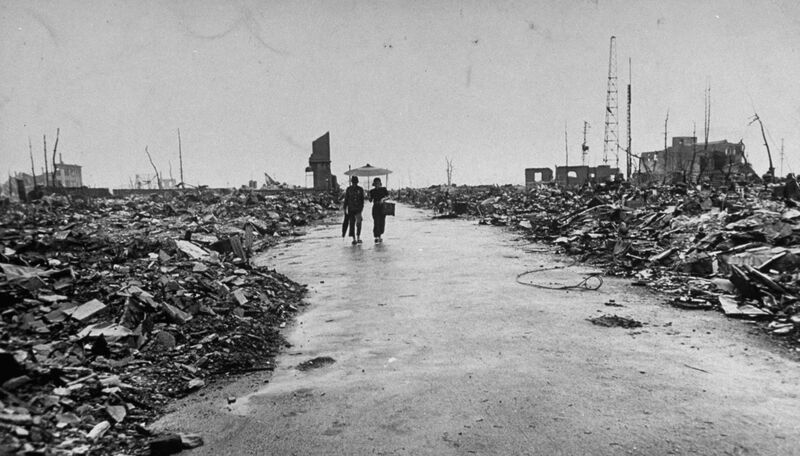 The devastation and subsequent loss during the war caused Germany and japan to cease being involved in any nuclear weapon research. Other countries though like United States, Russia, China, India, Pakistan, France, United Kingdom, Israel and lately North Korea are still being considered Nuclear States as they are believed to still possess nuclear weapons. 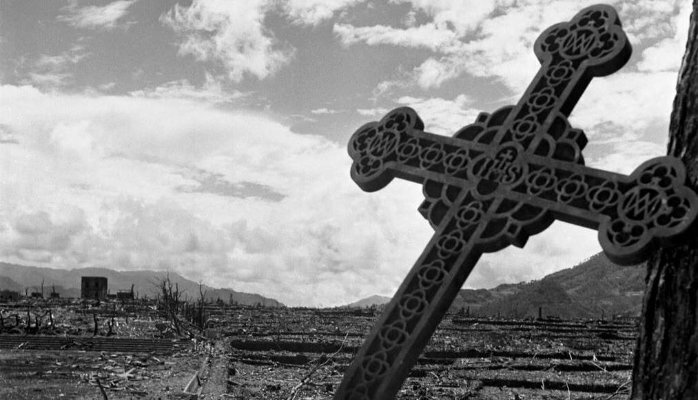 After the events of the Hiroshima and Nagasaki bombings the subject of nuclear weapons has been hugely debated and some bodies like The International Campaign to Abolish Nuclear Weapons (ICAN) have called for its eradication. Treaties and negotiations are still being made year in year out but still nuclear test runs have been carried out by nuclear states and there have been nuclear weapon accidents occurring. A Hiroshima Peace Memorial still stands to remind the world of the day the Japanese city was bombed. After the explosion on that day the structure was the only thing still standing in the vicinity and Japan still commemorate that day. Nuclear weapon is a weapon of great power that can send cities, states and countries into oblivion, the world do not need that type of technology. It is used to hurt and kill instead of saving lives and abolishing it is the only reasonable answer. With the tension between the US and North Korea, two Nuclear States, the world won’t want to see another World War.